Mike and I both prefer to get the challenges out of the way first (and limp home on the flats if required), and for our time of year, going clockwise meant we had a tailwind on the West coast home. 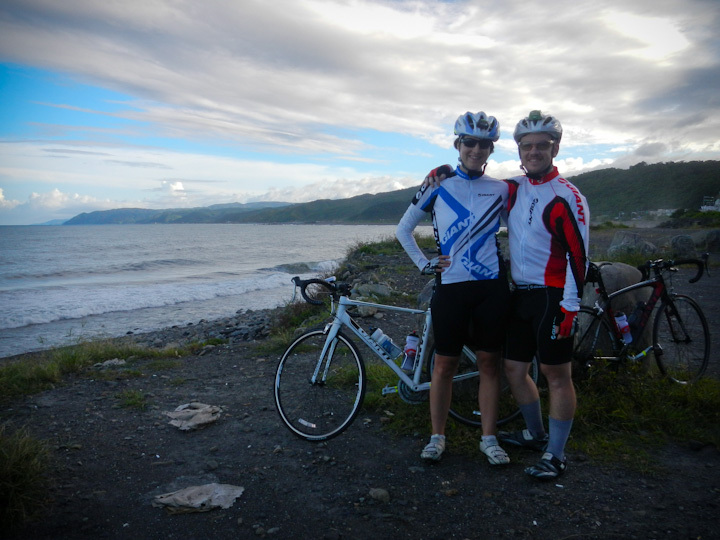 West coast riding is a bit of a slog – way more traffic and lots of trucks. It’s busy and loud, and sometimes not as picturesque as the East, although the cities themselves are fantastic. Nearly home - crossing back over the Tropic of Cancer. 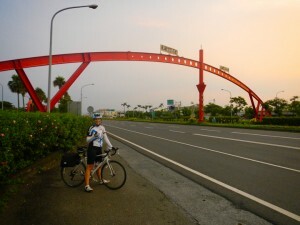 The cities of Taiwan’s West coast are pretty amazing, and any of them would make a great place for a rest day or two. We had already been to Kenting, Kaohsiung and Taichung, so we decided to bike quickly through a lot of the West coast. In fact, instead of stopping in Taichung, we stopped just south of it in Yuanlin and had some delicious dumplings instead, before heading all the way home. We did take some afternoon downtime in Tainan and Chiayi, though, and would I definitely go back to Tainan for a weekend or longer in the future. All in all, our decision to go clockwise was pretty good. Although I spent some of the ride back home wishing I was still on the amazing bike paths of the East coast, I was happy to see my own bed again after taking no rest days after leaving Hualien! 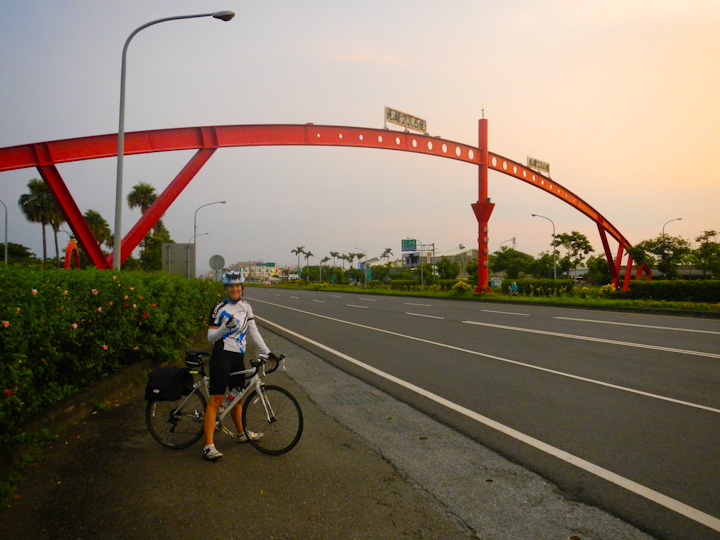 Cycling huandao is a very popular active holiday in Taiwan, and I couldn’t recommend it more highly for anyone that likes cycle-tourism. Great food, great hospitality, and as challenging a route as you want to make it… Taiwan is home to a world-class cycling culture!